Fresh is consolidating its arrival in the European market. Already present in London, the American cosmetics house is steadily expanding its footprint in Paris. 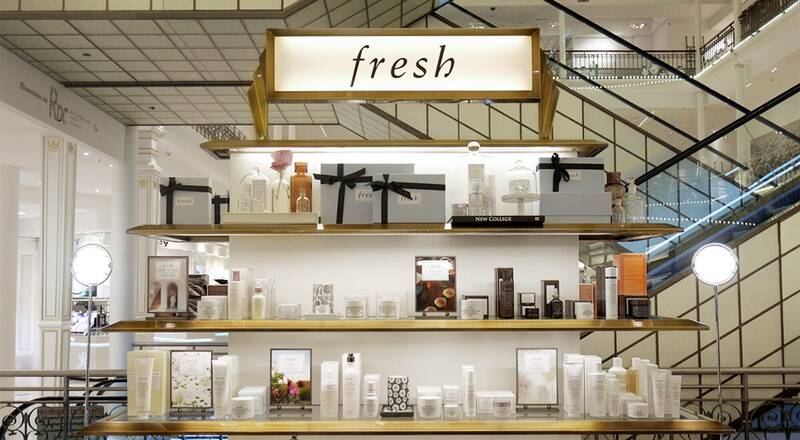 After setting up space in the Galeries Lafayette and Le Bon Marché Rive Gauche, Fresh is now featured at the Sephora store on the Champs Elysées. Founded in the United States in 1991, Fresh initially grew in the U.S. before beginning its conquest of Asian markets. The brand has since 2015 been accelerating its international expansion in Europe, notably in France, launching several new retail spaces in Paris this year. After opening a first counter in the Galeries Lafayette department store in late 2015, Fresh inaugurated a beauty space in Le Bon Marché Rive Gauche in summer 2016, joined since this fall by a pop-up space in the first floor Fashion department. Fresh invites shoppers to discover the House with a beauty diagnostic, as well as a workshop for personalized gifts thanks to custom-made accessories. At the end of August, Fresh opened a space in the Sephora Champs-Elysées store and is also now present on the sephora.fr e-shopping site. 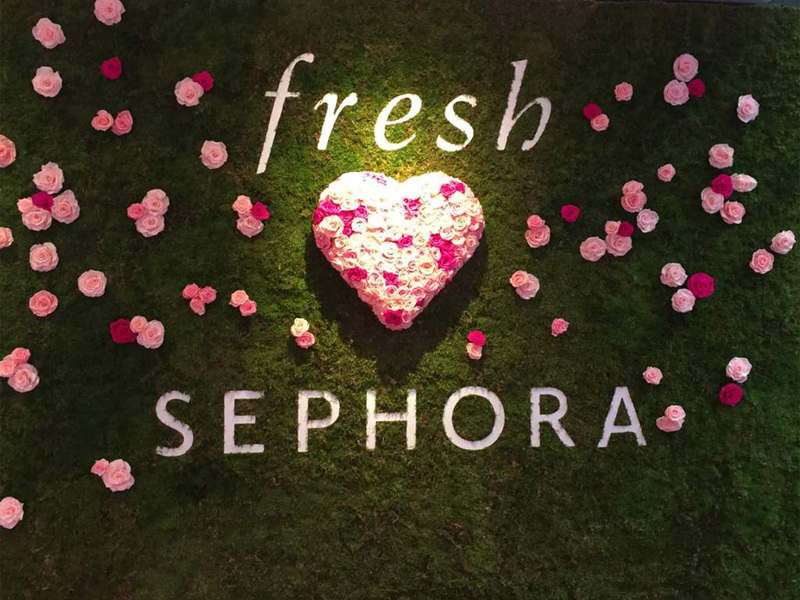 The cosmetics brand figures prominently in the emblematic Sephora flagship with a podium presenting its skincare range, plus a series of events that give Parisiennes a chance to discover iconic Fresh products. 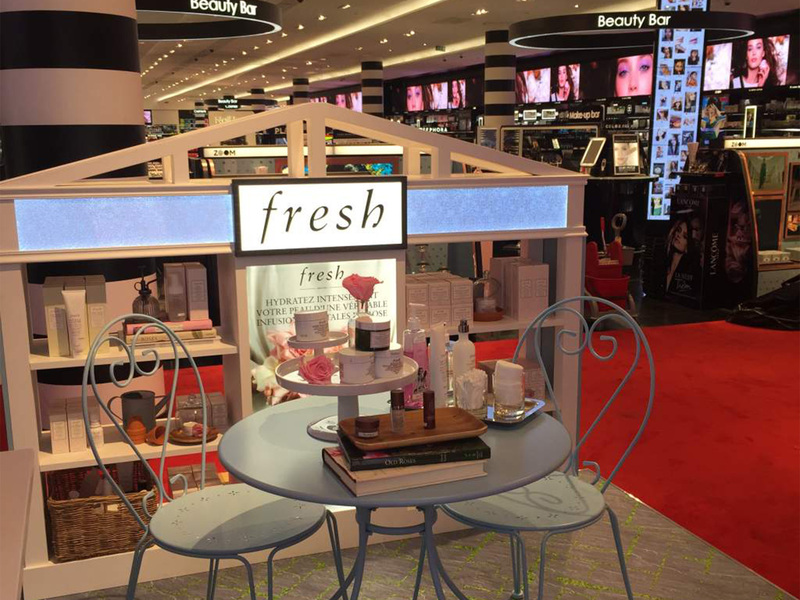 The space has already proved a resounding success: excluding Sephora label products, Fresh cosmetics are among the top sellers at Sephora Champs Elysées in the skincare category! The cosmetics brand is at the same time sharpening its online image, rolling out a French-language site in April, plus a French Facebook page, which went live over the summer.